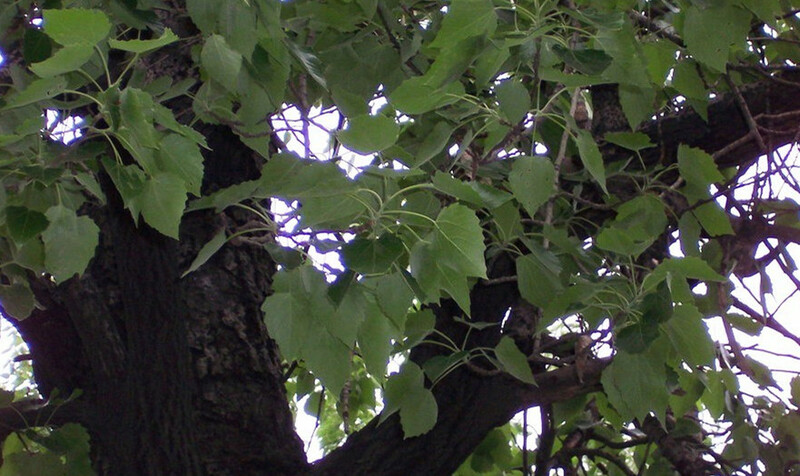 The drug is the dried bark, inflorescence or fresh leaf of Populus tomentosa Carr. (Family Salicaceae), growing in mountain area and pastures, and distributed and cultivated mostly in North China, North-west Chinaand Liaoning, Henan, Shandong, Anhui, Jiangsu and Hubei. Clear heat and induce diuresis, relieve cough and reduce phlegm. Dysentery, stranguria with turbid urine, leukorrhea, asthma due to excessive phlegm with cough, cough due to lungheat, hepatitis.